Mollie the 7 year old Labrador patient who we have chosen as our brave heart for the month of September. 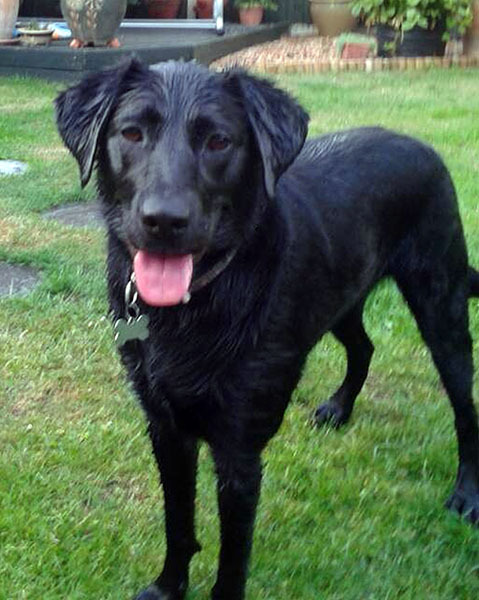 Mollie is a lovely Labrador that was hospitalised due to having haemorrhagic gastroenteritis (serve inflammation of her stomach and intestines resulting in blood in her faeces) and vomiting. This was the second time she has contracted this condition in the last 2 months. She was seen out of hours by the emergency vet (Vets Now) who gave her symptomatic treatment as her hydration. During the night Mollie deteriorated and was admitted into Moor Cottage the next morning. Mollie was put on an intravenous drip and given medication orally. Mollie was also off her food (which is unusual for a Labrador!) She was very quiet and lethargic and was recovering slower than the last time she was in, she required blood work and further medication via her drip. The next morning Mollie had improved, she had started to eat some food. That evening the owners decided to take her home, Mollie is very used to company and therefore felt she would improve at home. Mollie was a lovely gentle dog, who was extremely cooperative and therefore allowed us to give her the necessary care and fuss she required. She also toileted on command and held herself until toilet walks.